Update: According to several national news outlets, Sen. Chuck Hagel is currently at the top of President Obama’s list for Secretary of Defense pick. Hagel, a Republican, was touted as an Obama administration candidate in 2008, but was not nominated. In this interview with KVNO News’ Lindsey Peterson at the University of Nebraska Omaha television studios shortly after he crossed party lines to endorse Democrat Bob Kerrey for U.S. Senate, Hagel had high praise for President Obama’s handling of foreign policy. Omaha, NE – Former Nebraska Senator Chuck Hagel crossed party lines to endorse Democrat Bob Kerrey in the race for U.S. Senate. 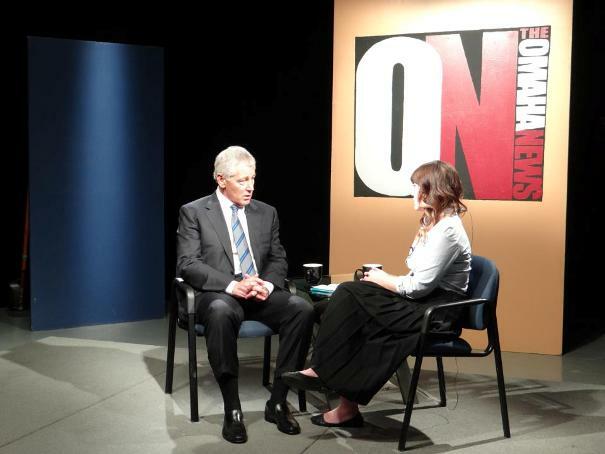 KVNO’s Lindsey Peterson sat down with Hagel in the television studios at the University of Nebraska Omaha last week to discuss his endorsement as well as his views on the partisan gridlock in Congress. Lindsey Peterson, KVNO News: Your expertise is clearly foreign policy. I want to start by asking you about the current political climate, and do you think that affects the U.S.’s credibility and ability to put forth good foreign policy? Senator Chuck Hagel: Well, politics just reflects society. Society makes the decisions that put countries, whether it’s their foreign policy or their fiscal policy, in different positions and cast different directions. So elections are very important. And that reflection of how a society feels, what a society wants in a democracy of course spills over into every interest. So it affects everything we do, and so I was very proud to be part of that. Elections matter. Obviously on Tuesday we’re going to elect a new president, we’re going to elect a new Congress. It will be those people charged with the foreign policy of this country, certainly over the next four years. Peterson: Fox News is doing wall-to-wall coverage about what happened in Benghazi and at the embassy on September 11. But outlets like NPR and CNN are doing some fact-checking on their claims. Fox is saying the Obama administration could have maybe prevented or done more to help the four Americans who were killed. Do you think there’s some truth to those claims, that there could have done more? And what’s your impression overall of how the Obama administration handled it? Hagel: First, we start with this reality, and it’s not subjective. We live in a very dangerous, complicated, combustible world. When we’re talking about areas like Libya, and particularly Benghazi, the eastern part of Libya, that is about as dangerous and unpredictable and uncertain an area as there is in the world today. So that’s where you start. Then you ask, ‘Well, could we have done more? Should we have done more?’ Then you get in the dynamics of ‘Should we even have had a consulate open?’ Maybe, maybe not. But if you start retreating from threats, from challenges, what does that say about your country, what does that say about you? What does that say about freedom in the world? Are you going to let terrorists intimidate free people? Are you going to let terrorists dictate the foreign policy of a country? Certainly, never will a president, would a president, regardless of the president, ever put knowingly the Secretary of State, any of our people, in a situation where it is so dangerous that they shouldn’t be there. Things happen, now that’s not an excuse. Could they have done more? Well, let’s get the facts. We’ll get the facts and we’ll look at more of it. I think overall on your question, and we should by the way, we do need to get more facts, but to jump to some political conclusion I think is a little bit irresponsible at best. As to your question on Obama’s foreign policy, I think President Obama has conducted a very responsible foreign policy. He’s gotten us out of one war; he’s getting us out of a second war; he hasn’t gotten us into any more wars. He’s gotten us in a situation where I think we are putting ourselves on a higher plane in the world in respect for this country. He did get Bin Laden. I think he’s using alliances more than ever. And alliances are important because America can’t do everything by itself. He’s connecting those alliances, strengthening those alliances which I think is particularly important for our future, for our security. So I think overall he gets pretty high grades in foreign policy. Peterson: When you endorsed Bob Kerrey, you mentioned his ability to be bipartisan. But have the days of true friendly bipartisanship passed? Because when the campaign trail gets negative, and Bob Kerrey’s campaign has been pretty negative, is it difficult for Congress to reconvene and work next to each other? Hagel: First of all, I’ve been rather outspoken on the conduct of these campaigns, didn’t start this year by the way. This is the worst year I’ve seen. But I’ve seen this coming for many years. And that’s the responsibility of the American citizen to stop it. I think the Supreme Court’s decision on these irresponsible, non-disclosure, no-limit amounts of money anyone can put in a campaign, and not tell anybody who you are; you can lie about a candidate, you can say anything about a candidate, both sides do it, will ruin this Republic if we don’t turn it around in the next two years. A president and Congress can do that. But back to your question. It’s the responsibility of those we elect to solve problems. In a democracy, you can only do that by bringing consensus, by bringing compromise to go forward. Parties, individuals have philosophies about government. There’s nothing wrong with that, that’s good. You should have intense debate, that’s good. You should have ideas that differ, that’s good. But in the end, you must do this and that is what’s right for this country, to move this country first. Unfortunately I think this partisan paralysis has locked down this country in a very dangerous way. I think we’ll break it. The American people are sick of it. In fact, just to give you some indication of this. When you look at partisanship, political parties, today according to Gallup’s latest poll numbers, we are now at 45% of registered voters in this country who are registered Independents. Republicans are at 28, Democrats at 31. Now what does that tell you? It’s unprecedented. It tells you that almost half of the registered voters in this country are sick of both parties because they’ve become so partisan. Everything is about them, about their party. What’s happened to the United States? I used to say when I was asked about an issue, or questioned whatever the issue was, that I didn’t support somebody strongly enough or I support him too much. And I said, ‘Wait a minute. I’m a United States Senator. I’m a United States Senator representing the state of Nebraska.’ That means I’m representing in the United States Senate, in a larger way, all 310 million Americans. And by the way, they’re Democrats, they’re Republicans and they’re Independents. They’re of all religions and all colors, same people in Nebraska. If we’re not smart enough to figure this out, to bring things to a consensus, and this is why I endorsed Bob Kerrey, he can do that, he’s done that, then we’ll destroy our Republic. That’s the only way Republics can work, democracies can work. 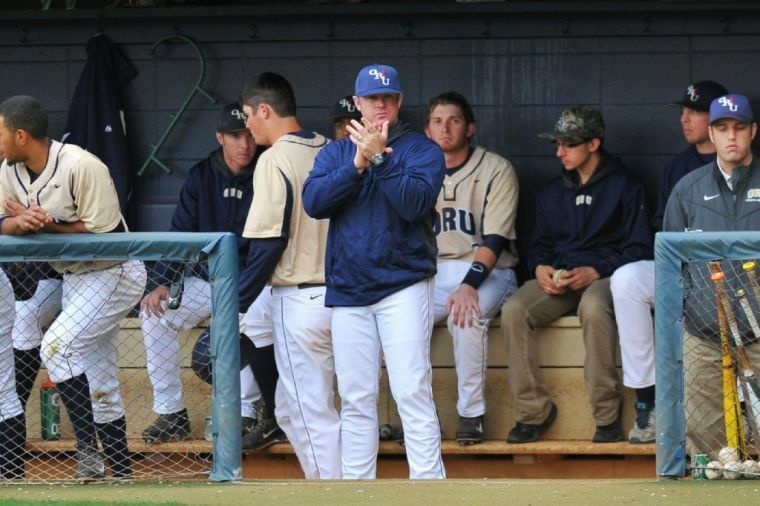 Make your case, but bring a consensus and solve the problem. Peterson: Well I think like us, you’re going to be watching the election very closely. So thank you for stopping by and talking to us. Hagel: Thank you very much.